Members of the Ottawa Real Estate Board sold 712 residential properties in January through the Board’s Multiple Listing Service® System, compared with 664 in January 2017, an increase of 7.2 per cent. The five-year average for January sales is 638. 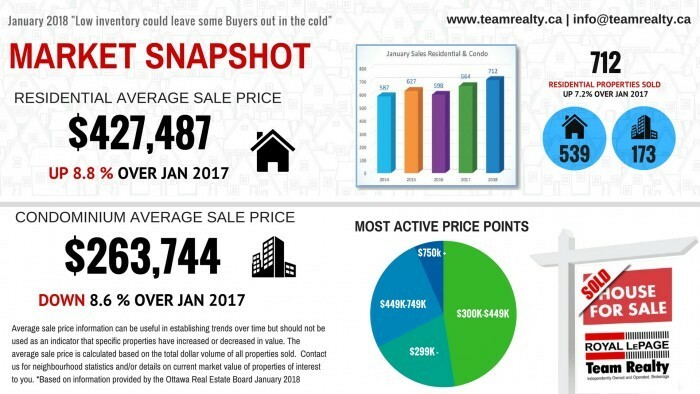 “While January is typically the month we see the lowest number of listings come onto the market, the numbers for this month are very low,” Rick Eisert, 2017 President of the Ottawa Real Estate Board, observes. “The five-year average for new listings in January is 1,396 for residential and 500 for condominiums. 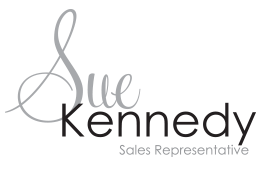 January 2018’s listings were at 994 and 406 respectively.” “We saw this trend throughout 2017, and the result is our resale market is being challenged by decreasing supply in both the residential and condo markets. Furthermore, as the supply continues to be reduced, it will tend to put an upward pressure on prices. This is simple supply and demand economics,” he adds. The average sale price of a residential class property sold in January in the Ottawa area was $427,487, an increase of 8.8 per cent over January 2017. The average sale price for a condominium-class property was $263,744, a decrease of 8.6 per cent from January 2017. The Board cautions that the average sale price can be useful in establishing trends over time but should not be used as an indicator that specific properties have increased or decreased in value. The calculation of the average sale price is based on the total dollar volume of all properties sold. Price and conditions will vary from neighbourhood to neighbourhood. January’s sales included 173 in the condominium property class and 539 in the residential property class. “For homeowners thinking of selling, this is a good time to get your property on the market before spring,” Eisert advises. “Since inventory is currently low, sellers will certainly get attention because selection for buyers in some areas, in particular, is quite limited.” In addition to residential and condominium sales, OREB Members assisted clients with renting 166 properties since the beginning of the year.